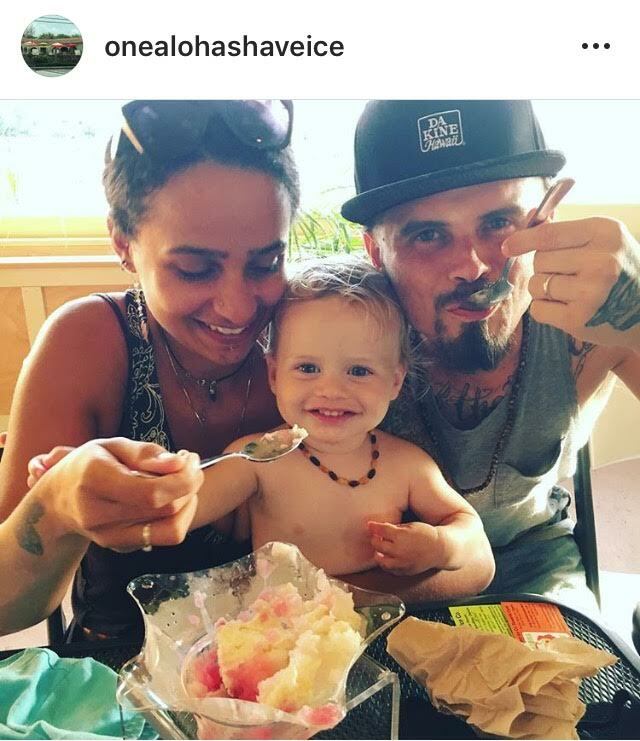 Organic & All Natural Shave Ice | One Aloha Shave Ice Co. Shave ice you can feed your baby! In Hawai’i, this refreshing treat is known as Shave Ice, or Ice Shave, depending upon what part of the island you are from. In Hilo, people tend to say Ice Shave, but on the Kona side, we say Shave Ice. Notice that you drop the “d”; it is not ‘shaved ice’, but shave ice. Shave Ice is made from a block of solid ice that is shaved very finely so that it feels like silk as you eat it. Then it is gently covered with a special syrup, and that is where we try to stand out. Our syrups are made with either real fruit, or organic concentrates: nothing artificial! Many if not most places sell Ready to Use (RTU) syrup which is sitting out and has a very long shelf life and commonly made with artificial food colors, high fructose corn syrup, artificial flavoring and preservatives. Our syrups are handcrafted from real fruits, made fresh daily, and kept refrigerated for the freshest flavor. To the select flavors that we add color to, we ONLY use ALL NATURAL food colorings such as Tumeric (Yellow) and Hibiscus (reds & pinks). Initially, we started out using a childhood favorite RTU (ready to use ) brand of Kulani’s. Although quite tasty, and contained some natural flavors, we began to read and research about artificial food colors, high fructose corn syrup and even refined white sugar. What we found was very disturbing and could not continue to offer flavors that creates health problems to our keiki (children) on up to kupuna (elders)! 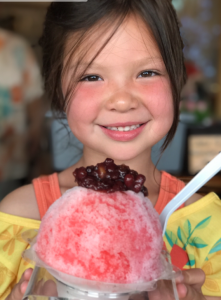 So, Leilani and I made a decision to go for it and bring something different to Hawaii’s nostalgic favorite frozen treat-offering a healthy and refreshing shave ice option. With much practice and our own research (and tons of test tasting) Leilani created over 30 flavors of all natural shave ice! All of our flavors are kept in the refrigerator to keep them fresh for you. Nothing artificial! We invite you to taste the difference! This is not a Snow Cone! A Snow Cone is crushed ice that is chunky and the syrup drops to the bottom right away. Finely shaved ice is a completely different experience than any other crushed ice dessert that you have tried! A good finely shaved ice should hold the flavor up top and slowly drain down in the cup as you eat it. Come and taste the refreshment!